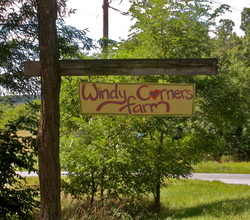 Windy Corners is a small-scale farm where the arts and crafts of homesteading are being practiced. 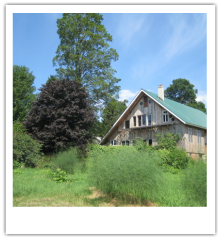 The farm is located in Charlotte Vermont, nestled between Mt. Philo and Lake Champlain. 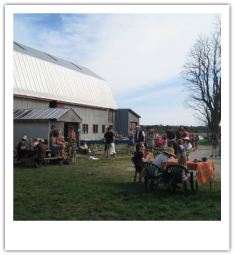 Our Mission is to live a self-sufficient lifestyle and be a community resource for homestead education. We are a space for experimentation, dialogue, and action about the possibilities for more desirable futures. Our lifestyle is rewarding, exciting, healthy, delicious, and lots of fun! The 14 acres of land is home to many kinds of plants and animals including pigs, chickens, sheep, goats, cows, and bees - and a few people! There are vegetable, fruit, flower, and mushroom gardens throughout the farm. We have learned much and have much to share and learn. We are excited to bring education into the community through hands on learning experiences. We strive to make our lifestyle healthy with minimal carbon footprints. 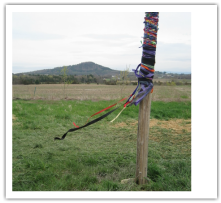 Windy Corners is home to a range of activities such as pottery, spinning, knitting, yoga, carpentry, winemaking, sugaring, cheesemaking, canning, apple pressing and more!